Through a recent evaluation of the East High School Bike Club thanks to grant support from the Menorah Heritage Foundation, we have confirmed empirically what we already knew anecdotally: Bike Club is gets more kids riding bikes! Through BikeWalkKC’s partnership with the Menorah Heritage Foundation, BikeWalkKC staff attended the UMKC Bloch School of Management’s evaluation learning cohort: Making Sense of Your Program’s Impact. 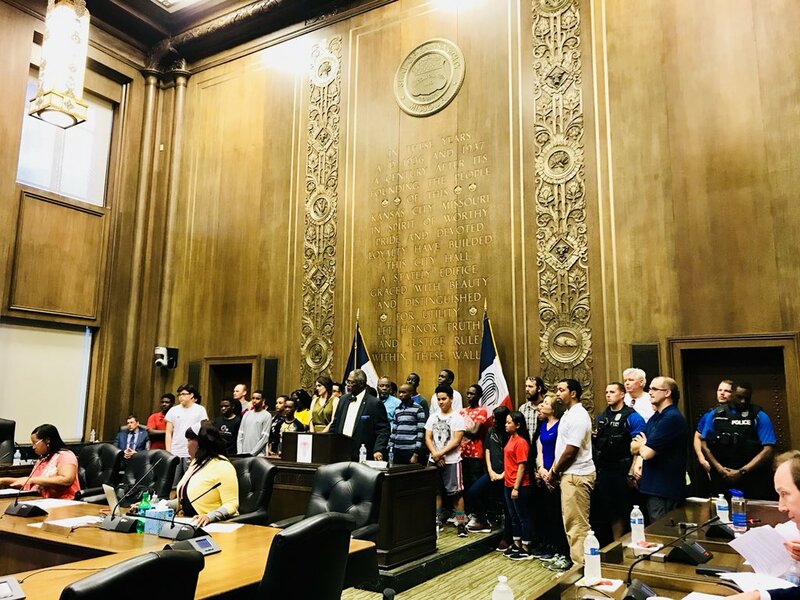 This cohort is a six-session exercise in examining and improving the impact of non-profit programming, and for our focus we chose one of our newest youth education programs, Bike Club. East High School in Kansas City, MO, has been operating a Bike Club for the past 2½ years with BikeWalkKC’s support. Students meet after school each Thursday for ten weeks to learn how to navigate their city by bike. About 25 students participate in East’s Bike Club every semester. Each student receives a refurbished bike, along with a helmet, a lock, and a set of lights. The lessons start out simple: those who can’t yet ride a bike are taught how, and everyone goes through our Bicycle Lesson and Safety Training (BLAST) courses before they can leave the school grounds. Once a threshold of safety has been attained, groups of riders and instructors take to the street to practice handling, signaling, and lane positioning. Rides are short at first, because not only are the students learning bike safety–they are gaining stamina. As the cyclists get stronger and more confident, the weekly ride gets longer. With instructor supervision, students bike pre-planned routes to nearby parks and local destinations like the River Market. East’s Bike Club has twice ridden to City Hall to attend City Council’s Bike Month (May) proclamation. The most important piece for evaluating the impact and effectiveness of Bike Club is a participant survey. We developed this survey with guidance from the UMKC evaluation cohort, and this summer delivered it to past Bike Club members (around 120 students). The survey asks students about their experience during and after the program and how their transportation habits have changed. The response has been encouraging. Over 85% of respondents say that their bike is still in working order, in some cases over two years after receiving it. The same amount of students report having used their bike for transportation within the last month. We also asked the students to rate their level of comfort, from 1 (not at all comfortable) to 5 (very comfortable) when riding a bike in their own neighborhood. The median response prior to Bike Club was a 2, and afterward the median was a 5. Additionally, 100% of respondents agreed that they had increased their knowledge of bikes and biking during the course of the program. When asked to rate their current confidence in riding safely in the street from a 1 (not at all confident) to a 5 (very confident), over 90% of the students chose a 4 or a 5 after Bike Club. Most of these students previously lacked access to a private vehicle, but are now equipped with the tools and the knowledge to enjoy the freedom of movement that a bicycle provides. 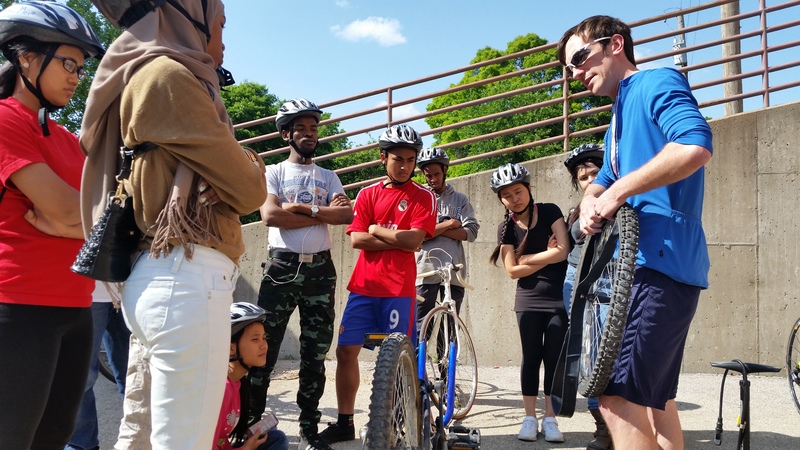 Armed with the data gathered from the Making Sense of Your Program’s Impact Study, we can be positive that Bike Club is empowering young people to take their bikes out on the road! If you know of a local high school that could benefit from and support a Bike Club program, or if you would like to donate bikes or funds to help us continue this mission, please contact education@bikewalkkc.org. Generous donations from the community enables us to deliver high quality programming to local youth, and your support is greatly appreciated! Posted in Bicycling, BikeWalkKC News, KCMO Central-South, News, Safe Routes to School and tagged advocacy, bicycling, bike, education, news, Safe Routes to School.